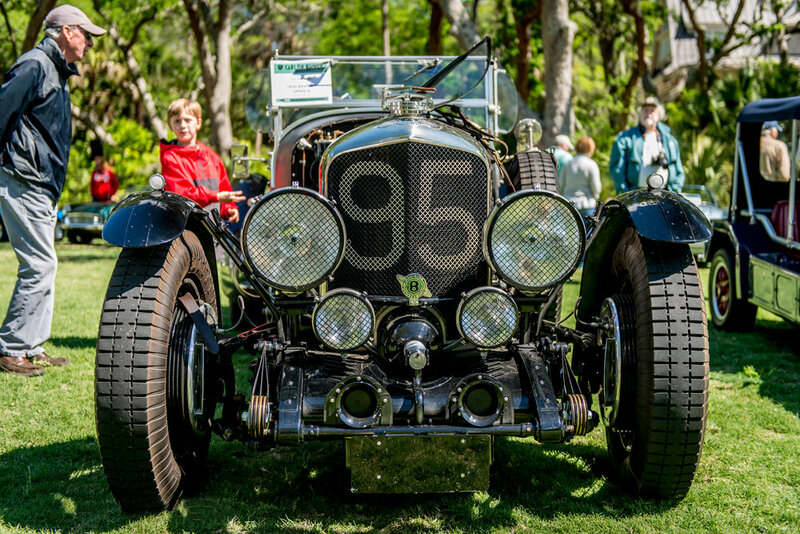 Cars on Kiawah is hosted by the Kiawah Island Motoring Retreat, a 501(c)(3) nonprofit. An annual donation of event proceeds is made to the Barrier Islands Free Medical Center (BIFMC). BIFMC provides free medical care for low income, uninsured adults who live or work on Johns, James or Wadmalaw Island. Automotive Historian Harvey Geiger. Having published over 200 articles, Harvey is nationally recognized as an authority on automotive history and car culture. In addition to serving as a judge at major concours shows, Harvey has been an enrichment speaker on Oceana and SilverSea cruise lines and at numerous automotive museums and car clubs. Harvey is the recipient of the Fahnstock Award by the Classic Car Club of America and the Lee Iacocca Award in recognition of his contributions to American automotive heritage. Our featured collector for 2019 is Gordon King. Gordon, a native of South Africa, has lived in Charleston for 35 years. His passion for racing came at an early age from attending Grand Prix events since 1960 with his Dad. He has seen most of the great racers from the 60’s, 70’s and 80’s in action. Gordon has owned well over 150 cars and motorcycles and his current collection includes 25 cars and 35 motorcycles. His tastes are eclectic, covering a wide variety of stand outs from Mini’s to Morgan’s, Lotus’s, Land Rovers, Porsches as well as Velocette, Triumph, Honda and Yamaha motorcycles. Gordon has been an avid vintage car racer for decades. You are likely to see him at rallies, racing events and concours around the world. Gordon will be displaying six cars and three motorcycles from his collection. Local television personality, Tom Crawford, will be serving as our Master of Ceremonies. He is a member of the Meteorological Society and has been recognized as South Carolina’s Best Weathercaster by the Associated Press. He is a host of ABC News 4’s popular morning show, Lowcountry Live. Tom is a Vietnam era and Persian Gulf veteran and served 33 years in the Air Force Reserves. He is well known as the best auctioneer in the region. Among his many hobbies, Tom is a classic car enthusiast.